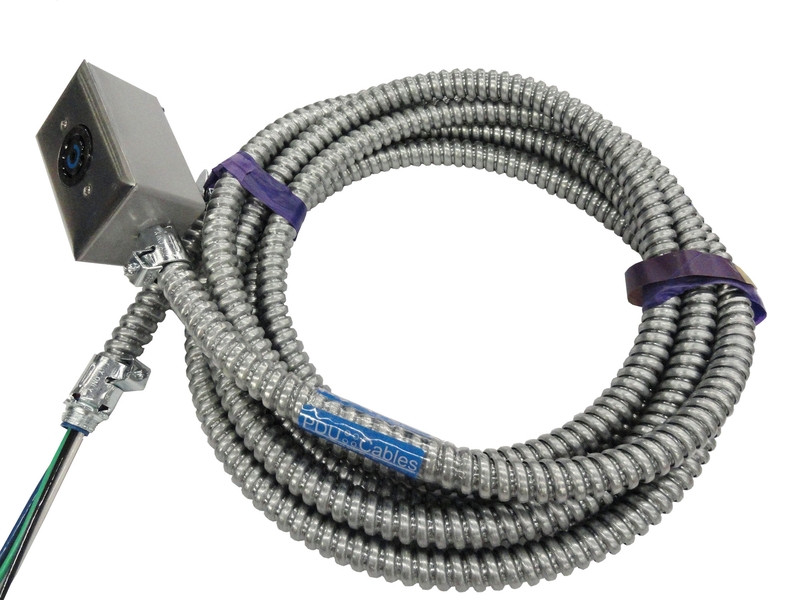 Flexible Metal Conduit, commonly referred to Greenfield, is available in either Reduced Wall Steel (RWS) or more often Reduced Wall Aluminum (RWA). 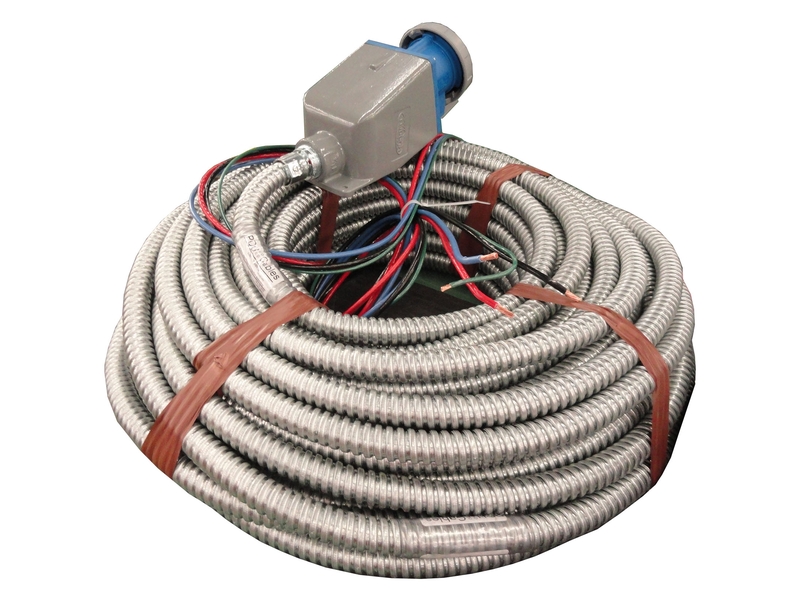 The main difference between Flexible Metal Conduit and Liquid Tight is the absence of the PVC sheathing and the integrated copper ground bonding strip. Flexible Metal Conduit is permitted for use in ITE raised floor environments (NEC 645), but is not suitable in damp or wet locations. If installed underfloor, Flexible Metal Conduit will typically be found in basket trays suspended off the ground and attached to raised floor pedestals. 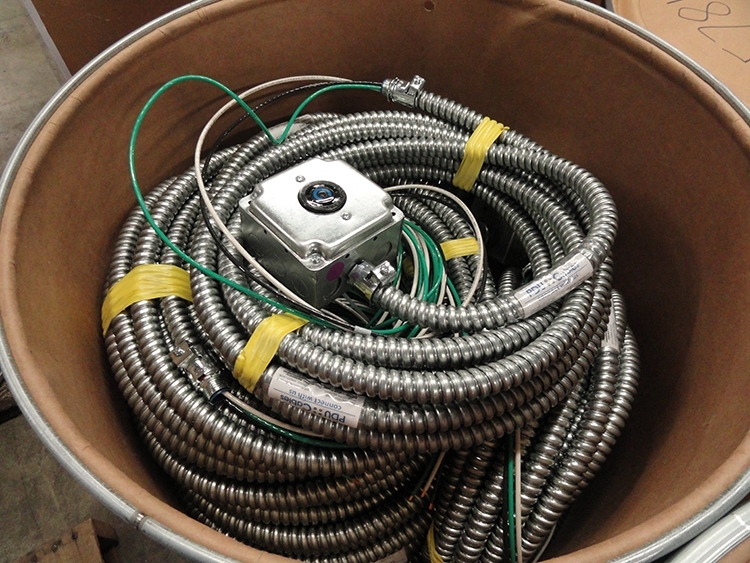 Following are a few photo's of different Flexible Metal Conduit Cable Assemblies.